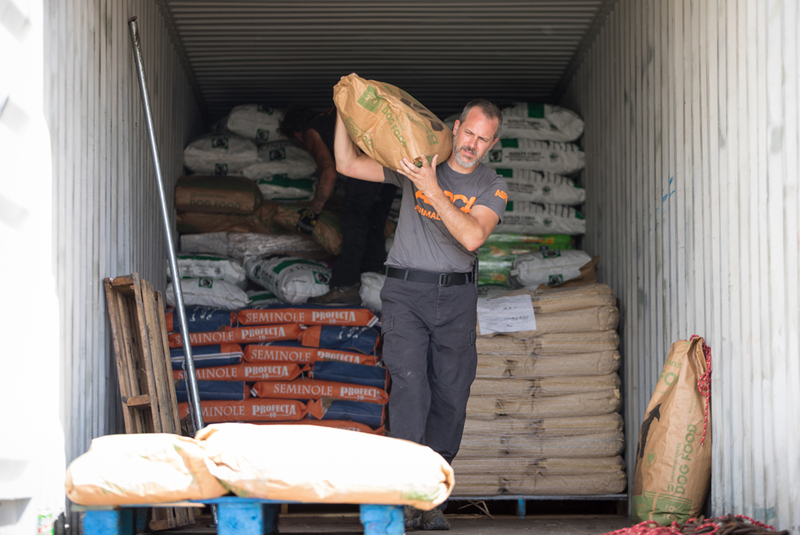 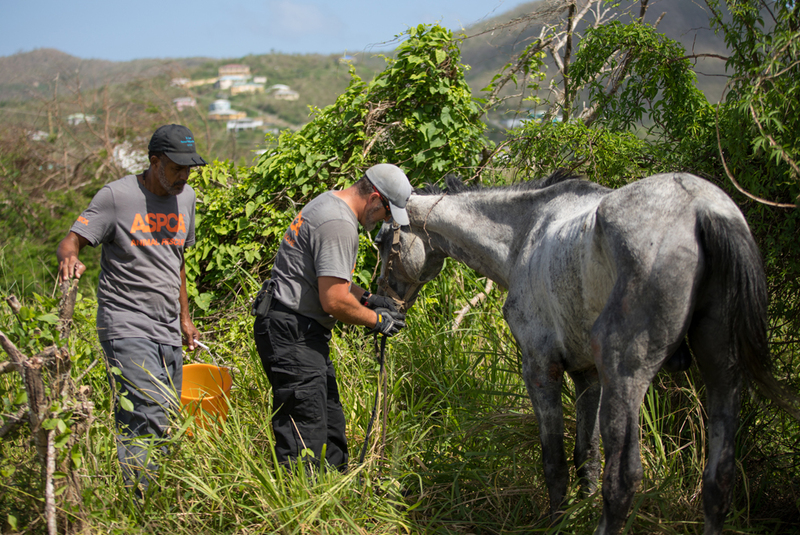 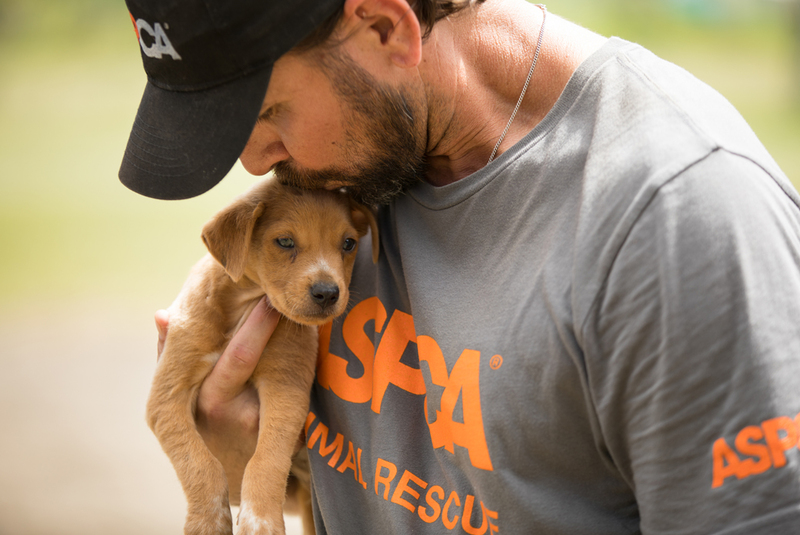 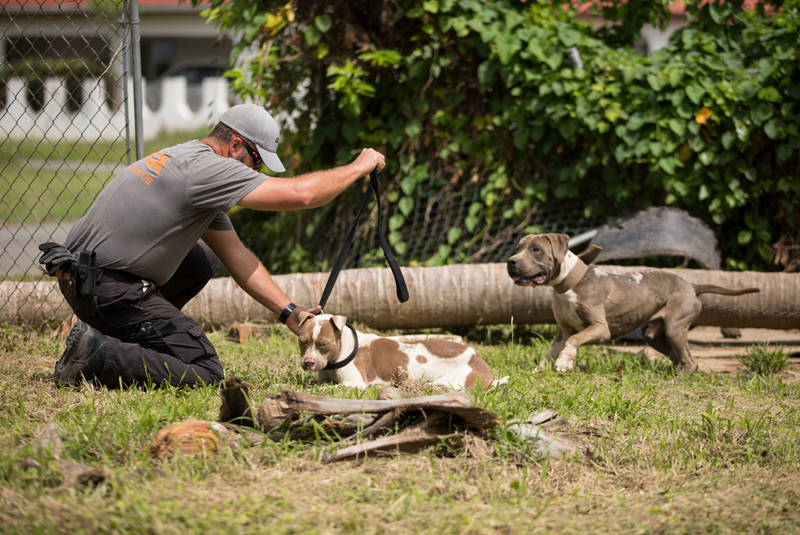 The ASPCA Disaster Response team is still on the ground in the Caribbean, on the island of St. Croix, following the devastation of Hurricane Maria. 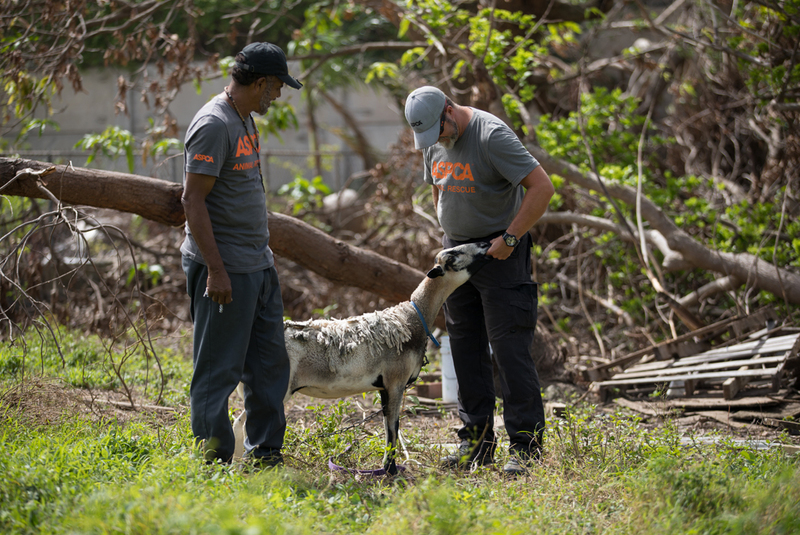 When we arrived to the island in late September, we deployed search-and-rescue efforts and began assessing the needs of displaced animals. 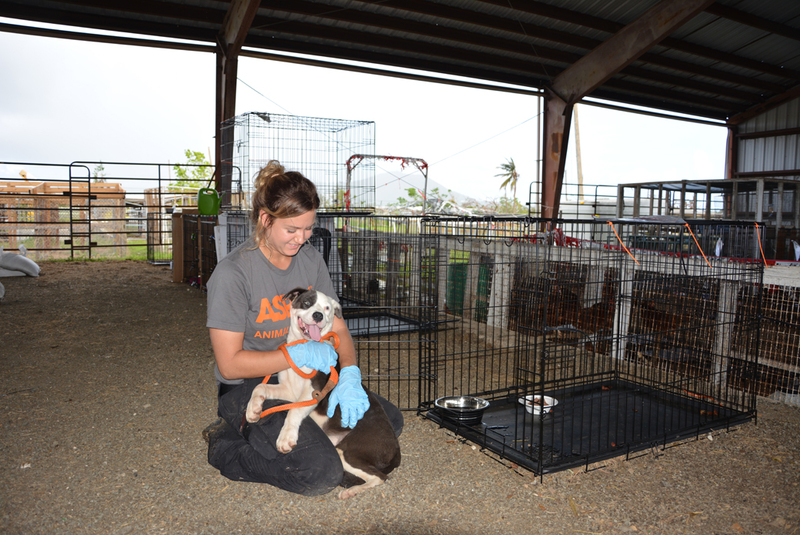 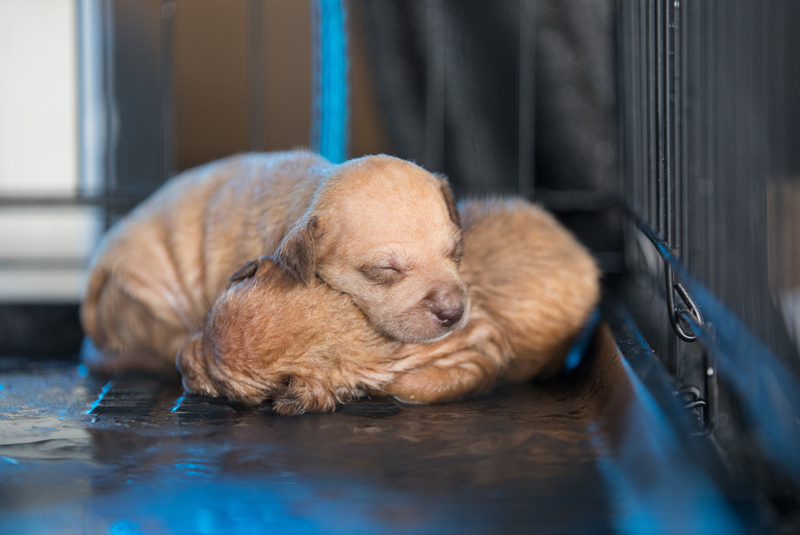 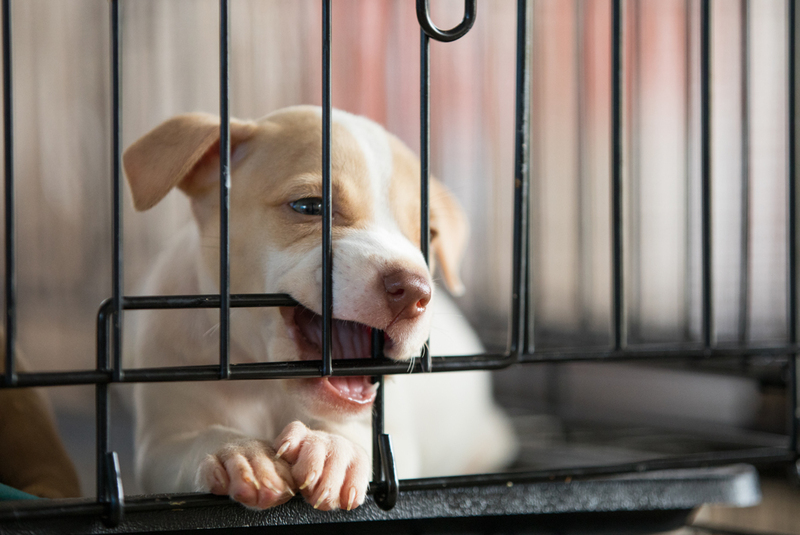 After witnessing the damage done to the St. Croix Animal Welfare Center, and at the request of the Virgin Islands Department of Agriculture, we set up an emergency shelter to help care for hundreds of animals impacted by the storm. 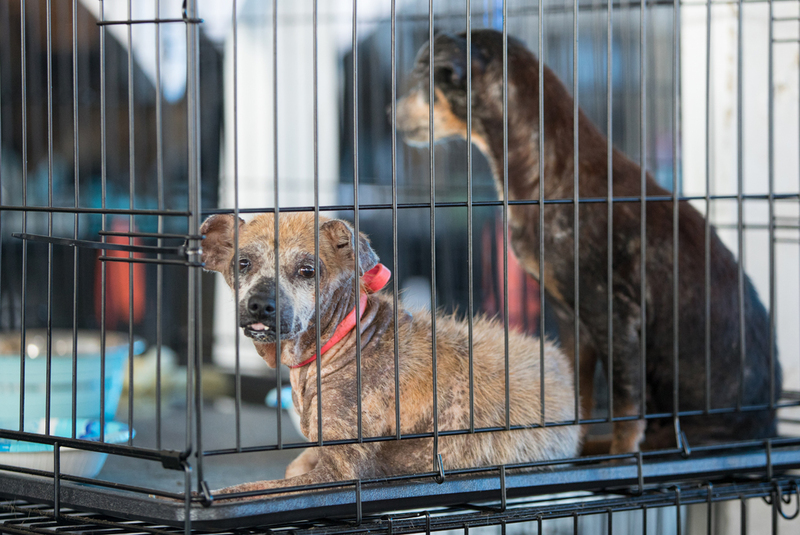 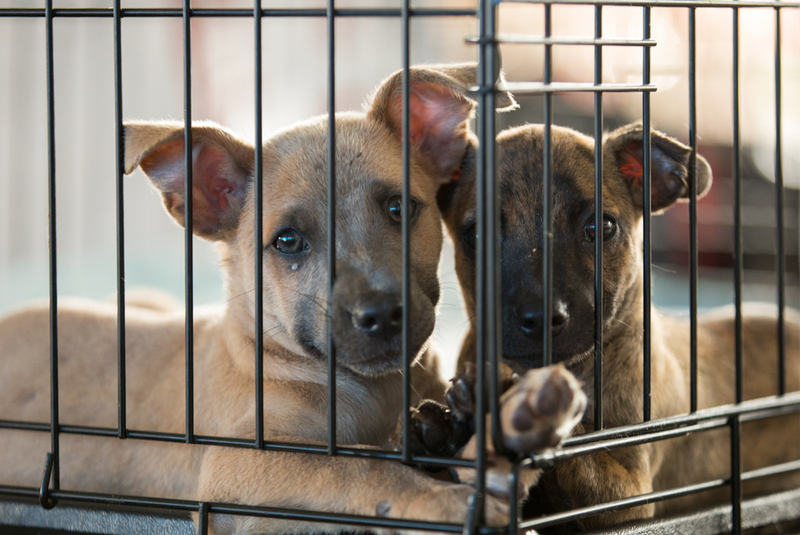 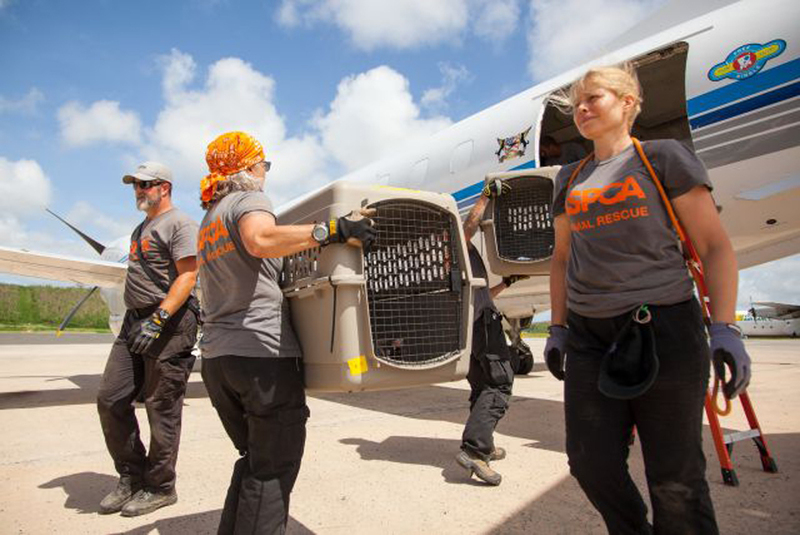 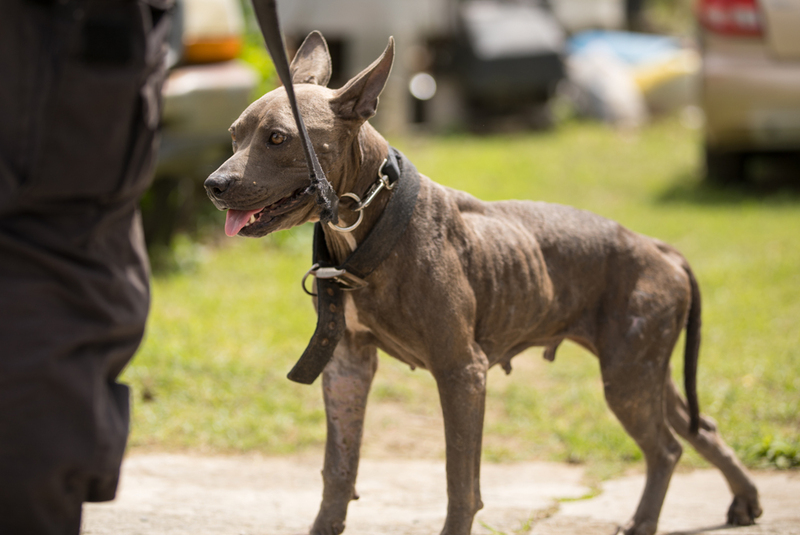 While we continue to assist animals on St. Croix, we joined forces with Wings of Rescue to safely transport over 50 of the island’s homeless animals to partner shelters in South Florida, where they will soon begin their journeys toward loving homes. 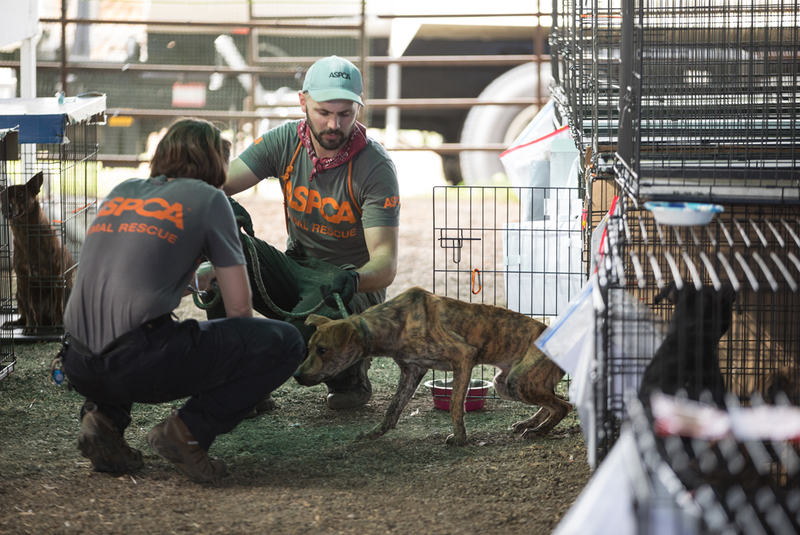 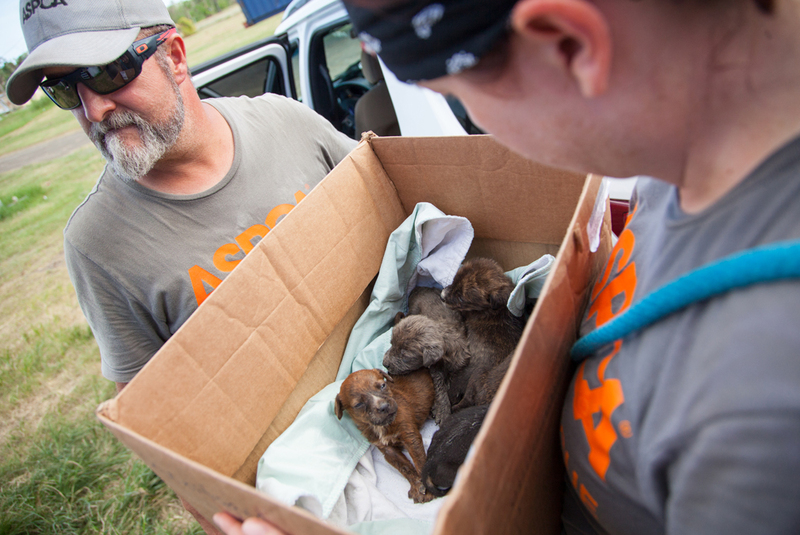 Over the past month, the ASPCA has been working tirelessly to relocate shelter animals, distribute supplies, rescue and shelter displaced pets, and provide other resources where they’re needed most. 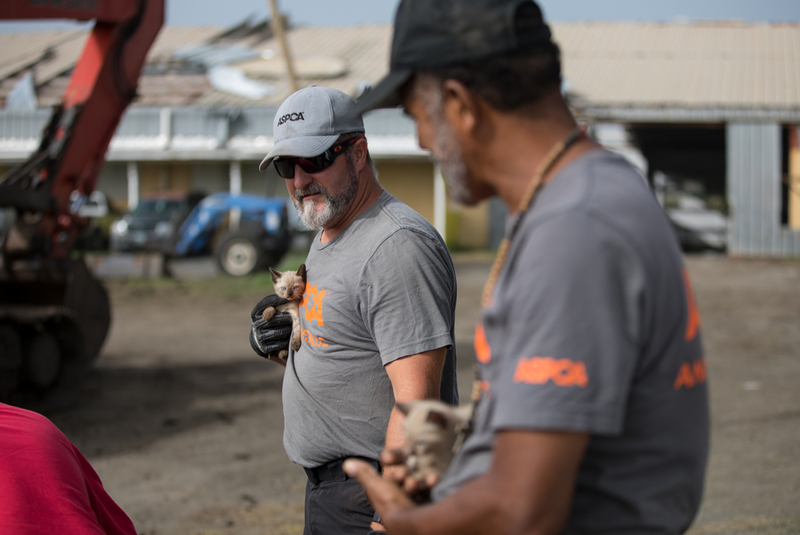 While we continue these efforts, we want to share with you some of the incredible photos taken of our emergency shelter, our work on the island and of the faces of the animal victims you’ve helped us assist in the wake of this natural disaster. 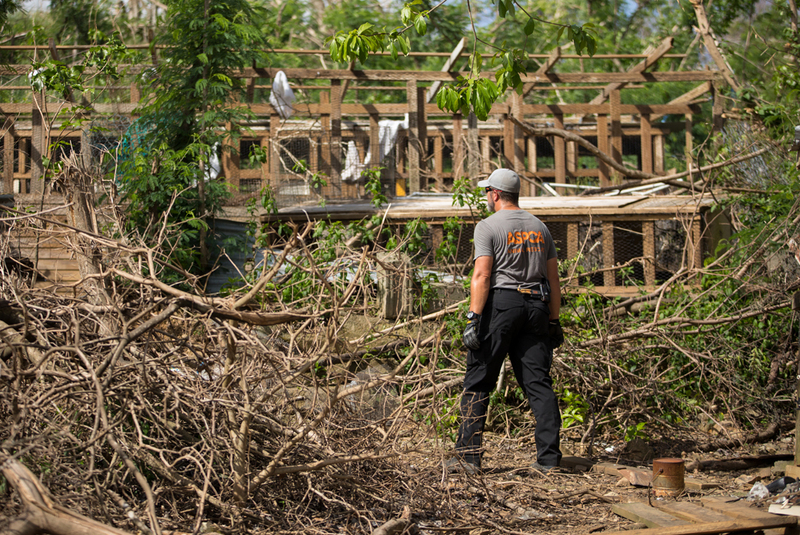 Fallen trees and debris cover the island, and many of its structures were compromised. 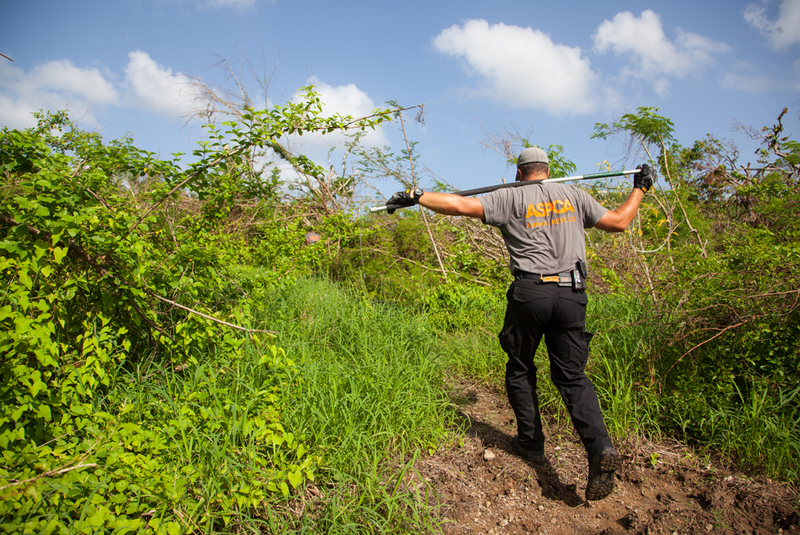 Responders scour the island for signs of life, and search for any animals that may be in need. 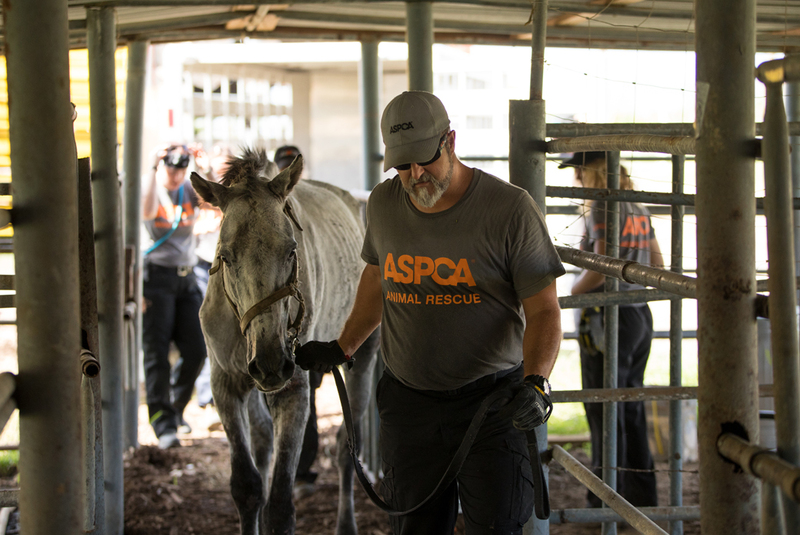 Responders found several emaciated wild horses in need of food, medical care and water. 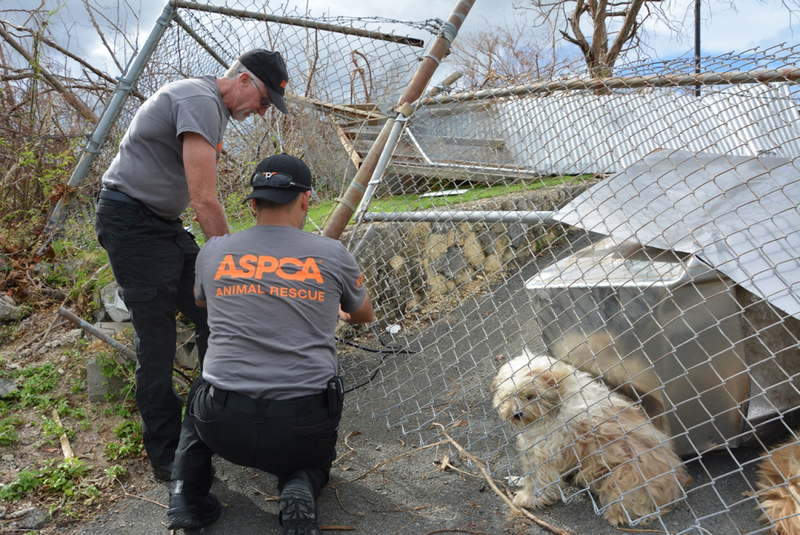 Two dogs hid under a mangled fence, while responders work to coax them out. 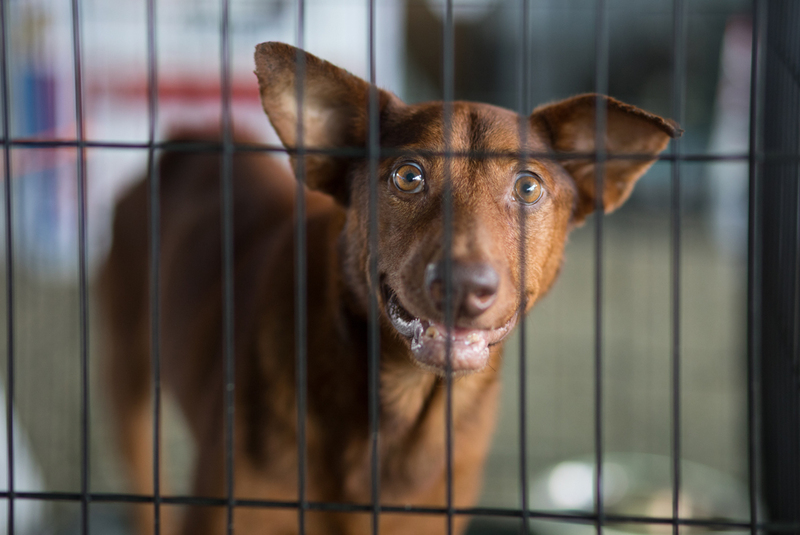 Lack of food and braving the elements, made some found animals fearful. 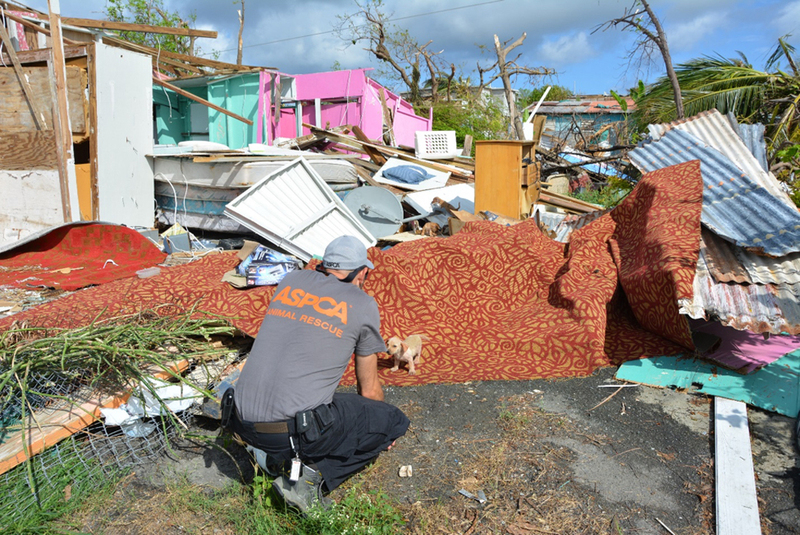 It took time and patience to get some of the victims to trust our responders. 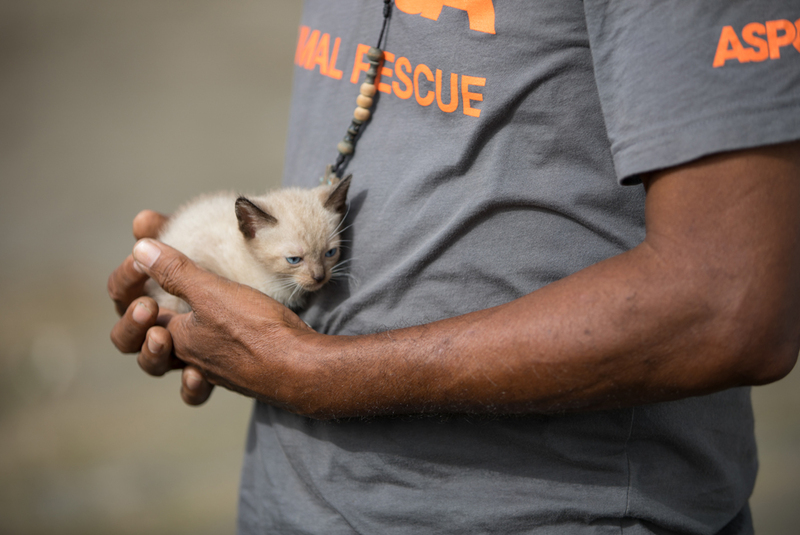 Dogs and cats weren’t the only animals in need of help. 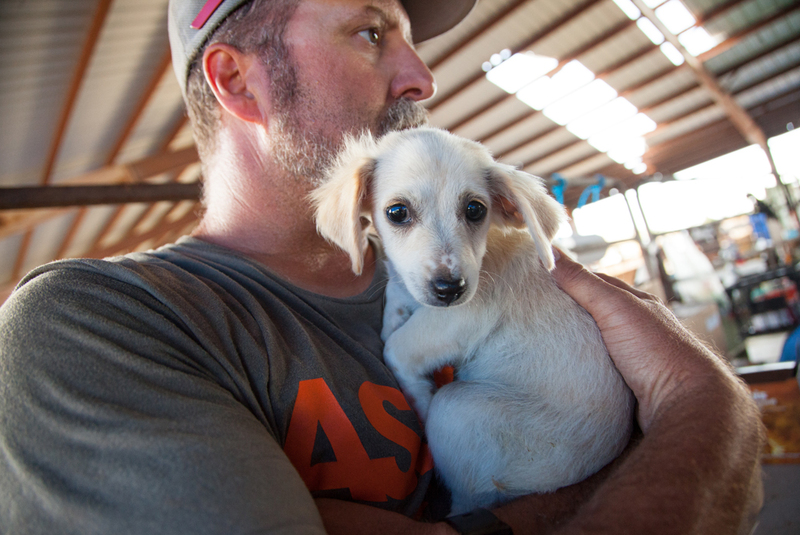 Some of the smallest survivors remind us that bravery and resilience can be found in many forms. 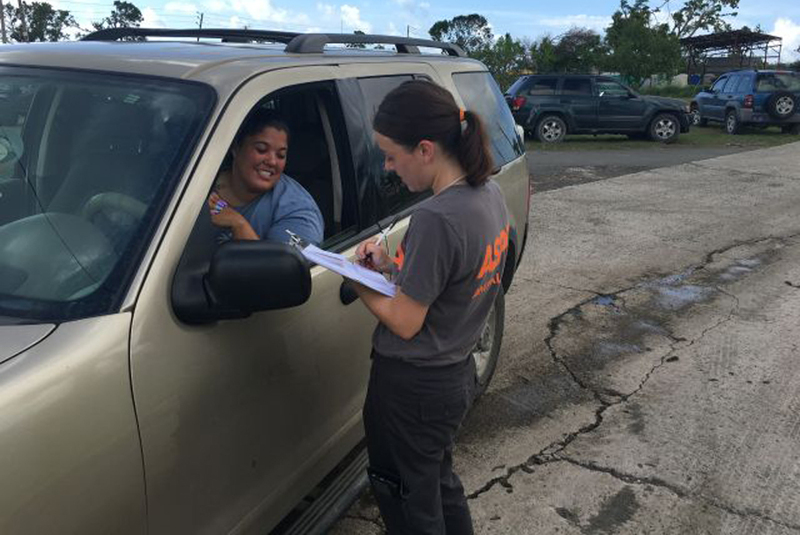 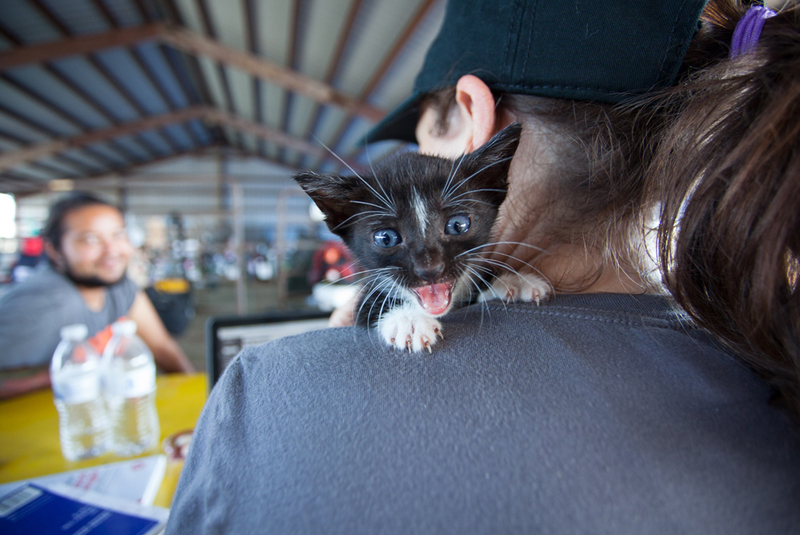 On October 26, Wings of Rescue helped to transport 51 homeless animals to Florida rescue groups. 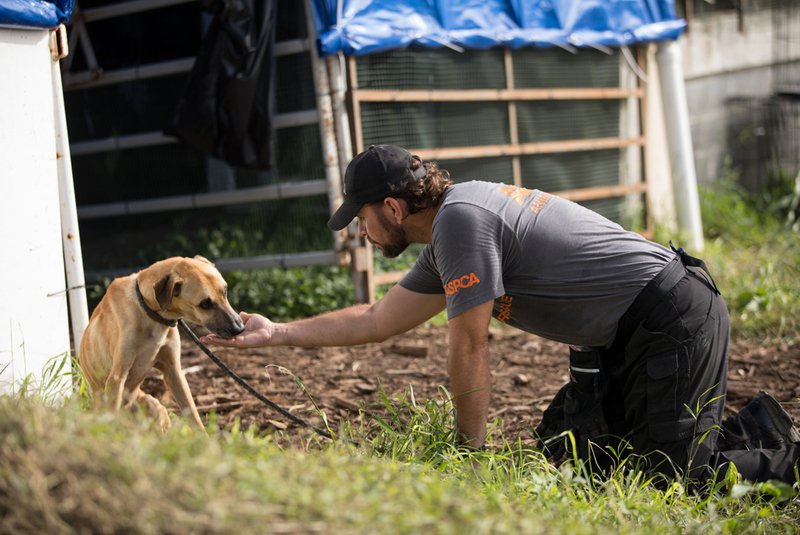 Getting food and supplies to the island was a top priority, and one of the more difficult tasks to carry out. 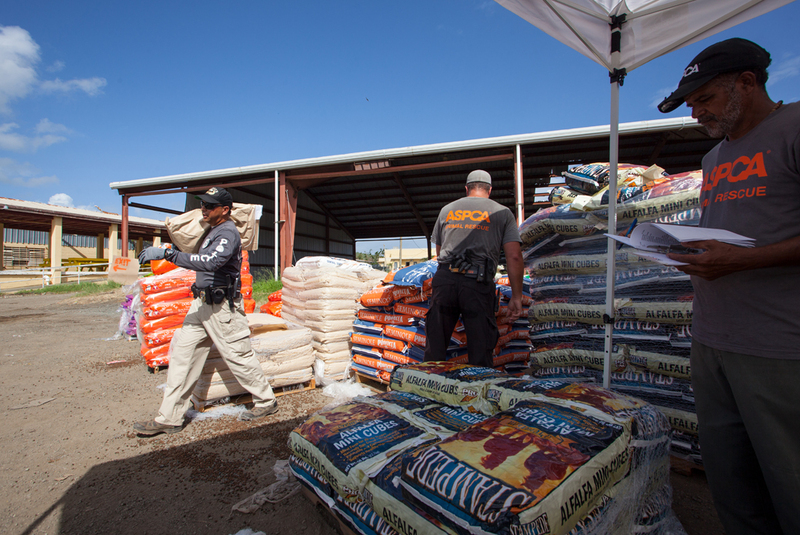 Critical pet supplies were distributed to thousands of residents with pets. 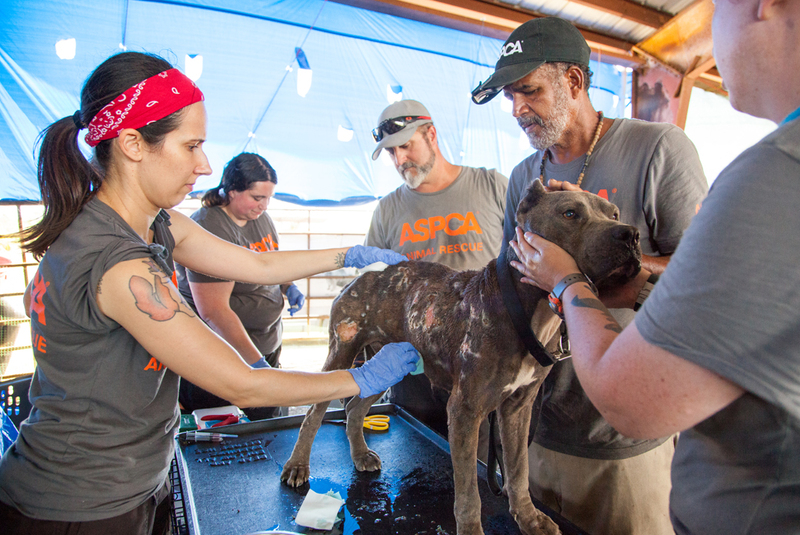 Many animals required extensive medical care, like the sweet pit bull seen above. 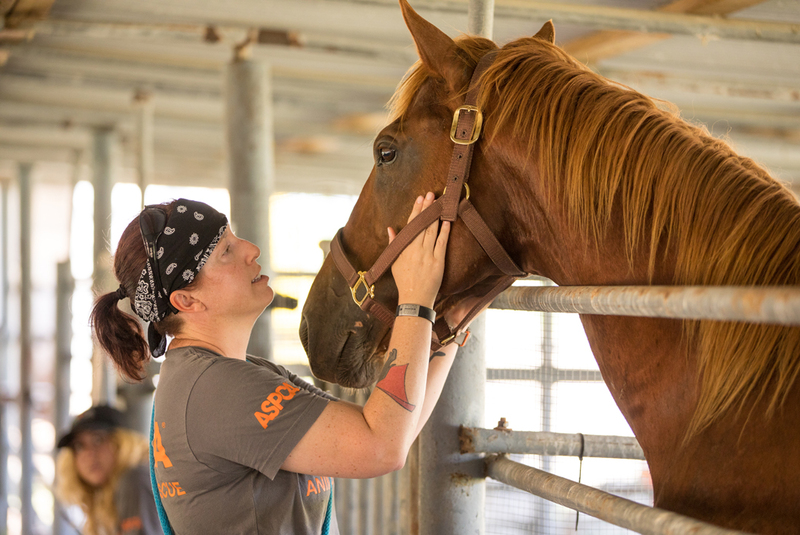 Our equine friends got the care and attention they desperately needed. 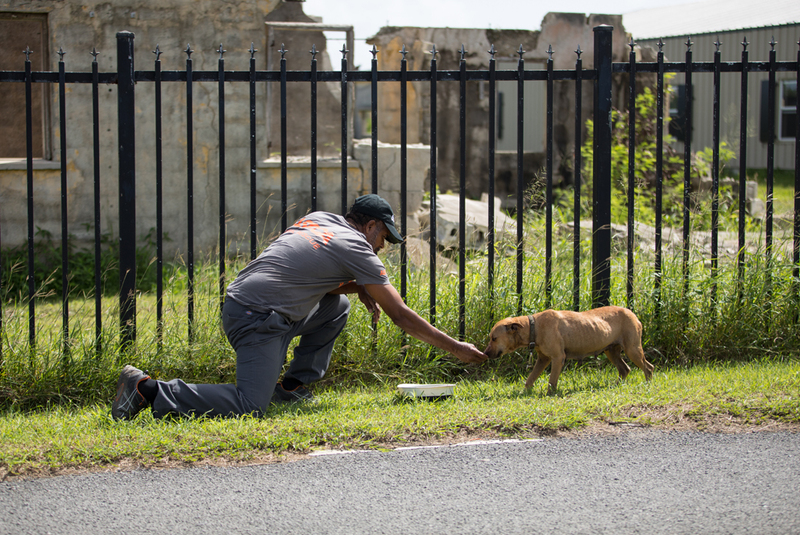 Responders work to gain the trust of the animals in our care. 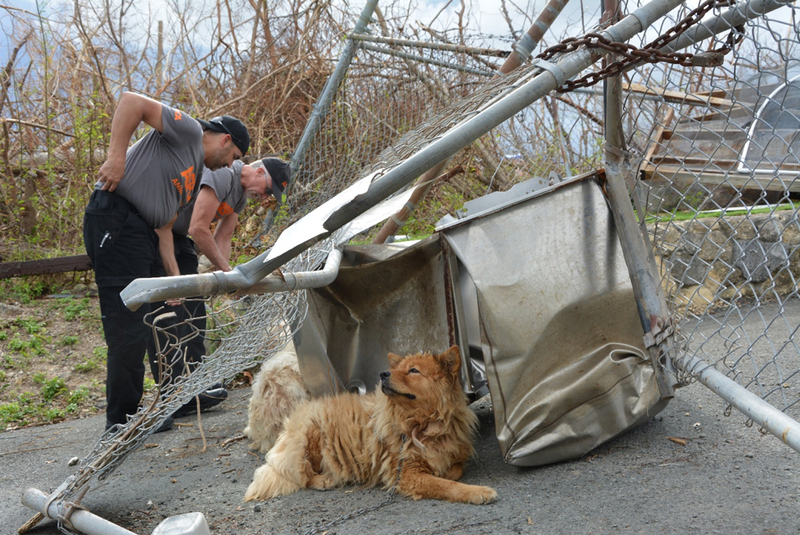 While other pups felt right at home with our responders.